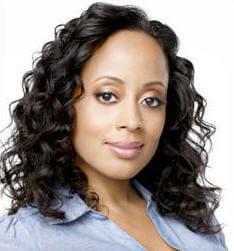 Essence Atkins was born in New York City on February 7, 1972. Between her innate sense of comedy and girl-next-door charm, it makes sense that she has become one of Hollywood's most sought-after talents. Last year, she played a lead role in Dance Flick, a spoof of the dance genre produced by the Wayans Brothers. On the UPN comedy series Half & Half, she starred as Dee Dee Thorne, a privileged, honor-roll law school graduate searching for her identity. Still, Essence is probably best known for her role as Yvette Henderson in the syndicated Disney series The Smart Guy and for her recurring role as Marnie on Sabrina, The Teenage Witch. She was also a series regular on several other television shows, including Aaron Spelling's Malibu Shores and the critically acclaimed CBS drama Under One Roof. Her many guest-starring credits include House, The Class, Love Inc., Moesha, For Your Love, The John Larroquette Show, The Wayans Brothers, The Parent 'Hood, Family Matters and The Cosby Show. Atkins' film career includes the title role in the independent film Nikita's Blues. And she delivered memorable performances in Love Song, How High and Deliver Us From Eva. Furthermore, she's enjoyed co-starring roles in Looking through Lillian, Love & Other Four Letter Words, Preacher's Kid and N-Secure which is currently in theaters. As a familiar face on four TV series and with numerous screen roles under her belt, Essence is a versatile talent whose star continues to rise. Here, she talks about co-starring opposite Terry Crews in Are We There Yet, the hit sitcom airing on the TBS Network. Essence Atkins: No problem, whatsoever. KW: What interested you in playing Suzanne on Are We There Yet? KW: I know you got married a year ago. Congratulations! You sound like you might be planning to have children soon. KW: Did your friends think you were crazy for marrying a man you met on the internet? EA: Yeah, they did think I was nuts. Everyone was like, "Why do you need to meet someone on Match.com?" My response was, "I certainly don't need to meet more of the same broke, acting class guys that I'd been dating my whole life." I needed to change that whole paradigm. So, I decided to meet some corporate guys and see how that worked. So, I went on Match, but I didn't put a picture up, because I'm on television, and I didn't want anybody contacting me for the wrong reasons. So, I had to do the hunting, as it were. I didn't anticipate meeting my husband online, but there he was. And it all worked out! KW: Were you at all intimidated by the fact that Are We There Yet had first been a hit on the big screen and that your character had been played by Nia Long? EA: Of course. It was an established franchise with fans, and any time you step into that it's a bit overwhelming. But [Ice] Cube has been great, and so encouraging and supportive not only playing my big brother but as an executive producer, at least when he's not completely intimidating as the godfather of gangsta' rap. [Laughs] But, no, he gives us the freedom to do what we need to do, and his sanctioning has definitely helped. KW: And what new are you bringing to the character, Suzanne? EA: It just gets deeper, because the storyline is really about the new family and the new journey. Six months into the marriage you get to see her cope with all these different agendas. Besides the fact that that she's been a single-mom and raising these two kids by herself, all of a sudden it dawns on her that she has to incorporate someone else's way of doing things. And that's the source of a lot of the comedy. KW: I know you're from New York. Where did you grow up? KW: So did I, small world. Where did you go to high school? EA: I attended Professional Children's School in Manhattan because my ballet and modern dance schedules were intensive and had started to interfere with regular school hours. I used to take the bus to the subway, and then three trains to the school. But it was from there that I got my very first opportunity to audition, and the next thing I knew I was on The Cosby Show. KW: Did you leave dance behind at that point? EA: I did. I saw the check, and that was it. Besides, most dancers' bodies are kind of broken down by 30, and they have to retire. EA: Sure, where do I want the seven-figure wire transfer sent? That's a good one that nobody's ever asked me. [LOL] Seriously, I do want to clear up that my husband [Jaime Mendez] is not a dirty old man. He's only a year older than me, despite the grey hair. Let's clarify that, and that I'm not related to Tia or Tamera [Mowry]. I did play their real brother's [Tahj Mowry] sister on Smart Guy, but there's no relation. What else? Yes, my middle name is Uhura after Lieutenant Uhura on Star Trek. And I was probably conceived in a roller skating rink, but I don't really want to talk about that. KW: And where did the name Essence come from? EA: My mother was convinced she was having a boy, so she only came up with boys' names. Thankfully, my father came up with an alternative, otherwise you'd be interviewing a Jeff Atkins with a very high voice. EA: He explained to mother that, if it's a girl, she'll be the essence of everything that's good and beautiful in you. EA: Am I ever afraid? Yes. And when I am, that means I should do it. EA: Very, extremely, blissfully so. Even in my pain, I'm happy. I like crying. It makes me feel alive. Challenges, when you're in a tumultuous situation, are an opportunity to grow, an opportunity to get closer to God, an opportunity to find and kind of reform yourself, and to figure out what really matters and what your priorities are. Not that I'm welcoming tribulation, but I find that it is beneficial. It is a truly special story and we don't want to spoil it. Nevertheless, you need to know something, so we will just say this: It is extremely funny, but the African beach scene is horrific. The story starts there, but the book doesn't. And it's what happens afterward that is most important. Once you have read it, you'll want to tell everyone about it. When you do, please don't tell them what happens either. The magic is in how it unfolds. 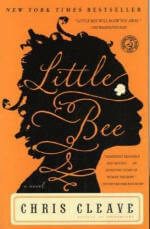 EA: I'm reading a novel by Chris Cleave right now called "Little Bee." It's fantastic! EA: I'm a kid of the Eighties, so I listen to everything from Journey to Sade to Madonna. I'm kinda stuck in the era that I grew up in. EA: Wow! When I look in the mirror, what do I see? [Pauses] I see a strong, independent, working woman who is very much in love and very happy with the reflection in that mirror. EA: Ooh, that's not so happy… [Pauses] You know what? I'll give you a happy one: my mother reading me to sleep every night as a child, which is the source of my lifelong love of storytelling. EA: I like to make Arroz con Gandules, rice with pigeon peas. My husband loves it. It's a Puerto Rican dish my mother taught me. KW: Thanks again, Essence, and best of luck both with the show and the movie. EA: Alright, thanks so much!